Clinicminds comes with all the features you need to run your clinic more smoothly. Register each consultation, treatment or review in a structured record that provides the practitioner with a clear overview of past and current treatments. 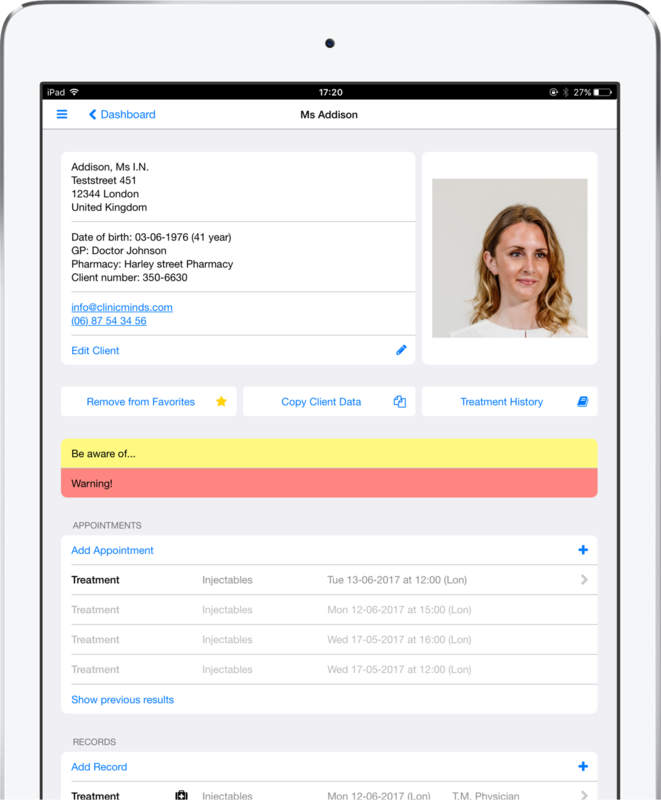 Multiple treatment record fields are customisable to the clinic’s needs. For example, consultation fields, medical history questions, informed consents, drawing templates and treatment types. Fast and effective scheduling based on availability and resources. Never schedule an appointment at the wrong location or with the wrong practitioner. Integrated free online scheduling tool and widget based on availability and resources. 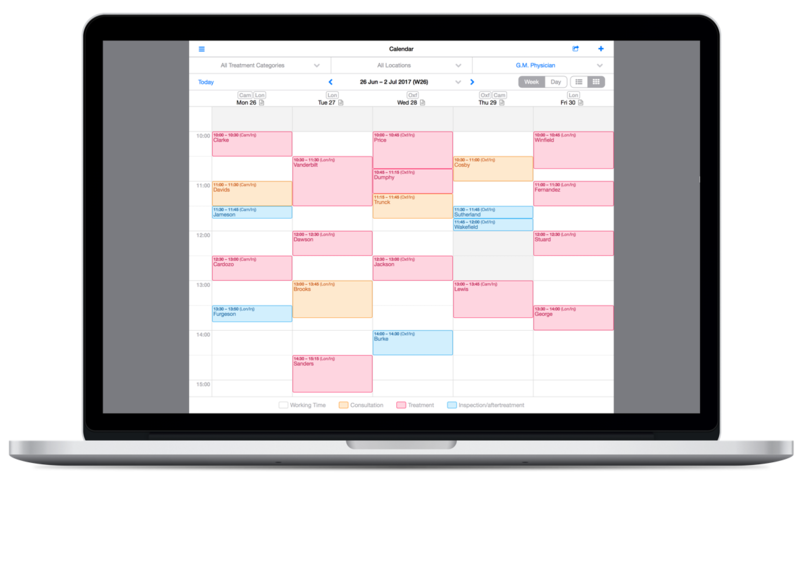 Unburden your diary service, increase customer experience, and schedule more appointments. A colour-coded week and day overview provides a clear picture of the number of consultations, treatments or reviews scheduled for the day. You can also set your own customisable appointment time slots for each appointment type. No more wasting time sending emails or SMS texts, Clinicminds comes with an automated email and SMS text system for conformations and reminders. Invoice all treatments and product sales efficiently within the workflow to save time, prevent mistakes and keep the clinic paper-free. 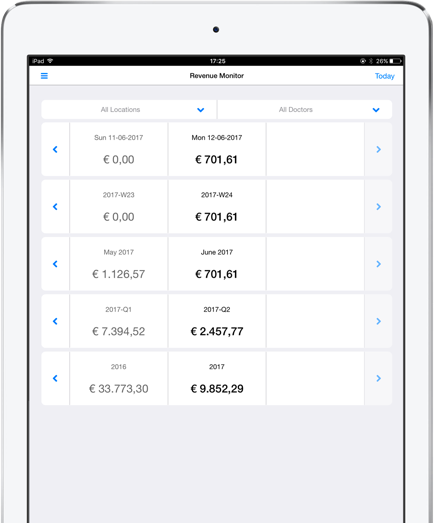 During the payment process you can select payment methods, set discounts and e-mail invoices directly as a PDF file. Monitor your revenues on screen on a daily, monthly and yearly basis or export several revenue reports whenever needed in real-time. 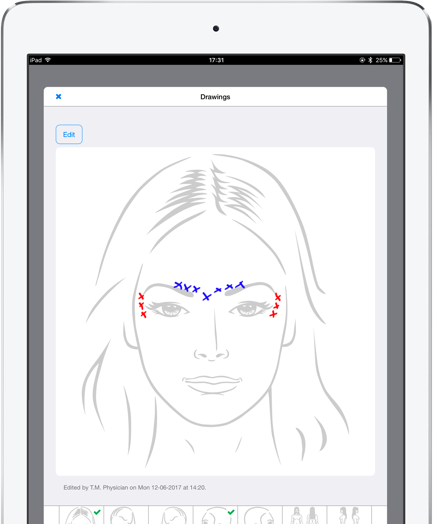 The Clinicminds application is designed for use on an iPad (tablet), desktop or laptop. It supports Windows OS, iOS and Mac OSX. No software installation is required. You can login to Clinicminds from any location. When used with an iPad you’ll have full mobility so you can move freely around the clinic, from consultation room to the treatment room. 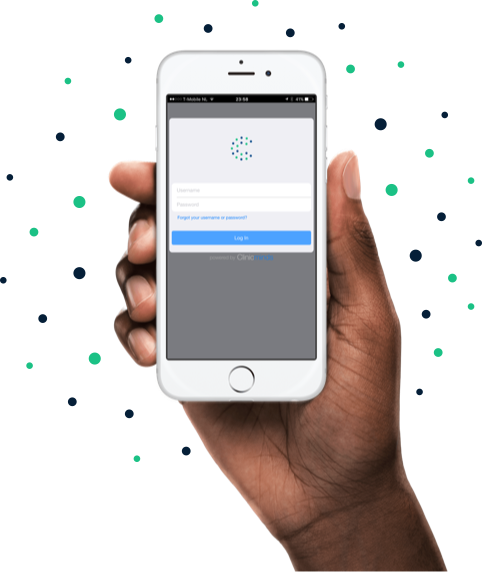 With the connecting iPhone app you can schedule on the go and quickly review your calendar and patient records. Clinicminds is a cloud-based solution. It complies with industry-standard security practices to safely transmit and store your patients’ data. The data are encrypted using 2048-bit SSL connections during transmission, and stored on the best and highly secured servers of Amazon web services. Clinicminds’ infrastructure is fully backed with all components mirrored at two separate locations. All servers are ISO27001 certified.